Interest rates have been so low for so long that it seems things have always been this way. We expect and predict mortgage rates to be low today, tomorrow, and every day after that because the media has confirmed these rates and that it will likely stay that way. It looked like it would stay that way, unless a global or closer-to-home economic event or emerging trend signals that tomorrow would be different. It looks like that day has come, and has already past, as interest rates of all kinds begin to trend higher. Higher interest rates do not mean a crash in the market, or challenges in getting mortgages, and buying a home. Instead, they turn to a more likely threshold of an accelerating housing market activity, which in turn, is a good thing. Over the past 25 years, rates have risen and fallen many times, and when the market signals a northbound interest rate, people tend to get busy. Consumers that were on the fence for mortgage rates and potential buying a home, become homeowners and mortgage-takers daily. This means that as interest rates climb, affordability becomes a moving target. Larger interest rates make it more expensive and less affordable to buy a house. So as interest rates begin to climb, the rush to become homeowners intensifies and see’s a large push in a short time period. Everyone who had potential of becoming a homeowner and was planning their time out, quickly hops off the fence and comes running to become one. In short, rising interests rate, sends a quick trigger situation to the housing market. It brings upon a surge in home buying activity that will turn into a more stable norm in the future. We will get used to the new and higher interest rate baseline and we will adjust. Families will happen and grow, job opportunities will beckon, and people will need to adjust their housing needs for reasons beyond perceived economic and financial constraints. Some spectators may think that the rising interest rates will push consumers out of the market due to affordability, but if you look at historic market rates, the rise of interest rates has always started an economic housing market boom. Fact is, forecasting can be flawed. 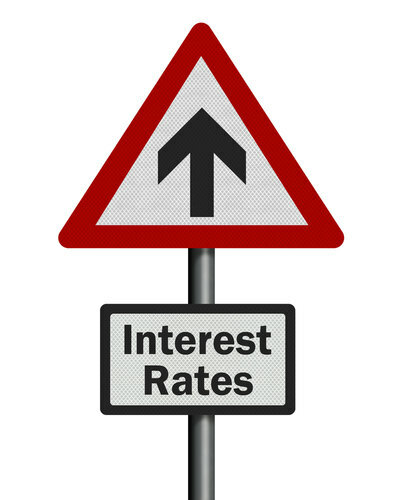 The main reason behind the thought process of interest rates remaining low, is because they are low today. People expect the rates to remain low for forever. When the real day will come that something happens to shoot the rates on a northbound stream, bringing buyers out to buy in there here and now before the rates are too high for their taste. Home buying plans will move to the top of priority lists. Online property searching will become a more frequent pastime. Mortgage inquiries will be made. Open houses will be visited. Purchase and sale contracts will be signed at a far more rapid pace than before rates moved higher. The qualitative advantages of homeownership become more meaningful when the quantitative returns erode. People, who want to be homeowners, want to be homeowners for reasons that go beyond the painful reality that their monthly payments will be higher because interest rates are climbing. The benefits of owning a home are more than just financial. Building wealth through home equity, plus the potential to offset income tax liability, can be significant to some. However, the lure of having our own spot on the planet to raise families and make memories will not be muted because interest rates went up. Rather, rising interest rates will accelerate the chase for homeownership because consumers will want in before housing grows more expensive than it already is.